Screenplay: Dean DeBlois, William Davies. Voices: Jay Baruchel, Gerard Butler, Craig Ferguson, Jonah Hill, Christopher Mintz-Plasse, America Ferrera, Kristen Wiig, T.J. Miller, Ashley Jensen, David Tennant. 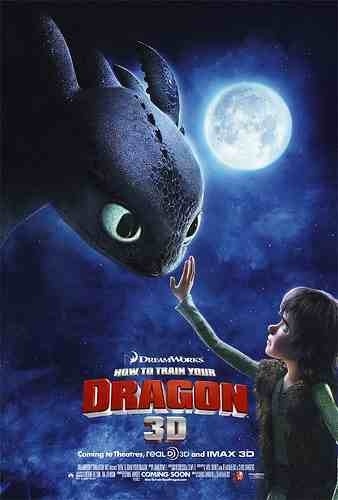 If your a fan of “Shrek” then this recent Dreamworks animation should be right up your street. It’s yet another cartoon that will appeal to both children and adults. Hiccup (Jay Baruchel) is a young Viking, who’s father Stoick (Gerard Butler) is the Chief of the dragon slayers in their village. Stoick has the same expectations of his young son and longs for the day when he will become a man and take his place in the clan. Unfortunately Hiccup doesn’t seem to have it in him. That is… until he tries to prove his people wrong and make his father proud of him, by venturing out to slay a dragon of his own. He wounds a dragon in flight and when he finds it, he can’t bring himself to kill it. Instead he nurses it back to health and in the process, creates a strong bond with it. The relationship between them brings a new outlook to Hiccup who now believes the way to protect his village and people is by befriending the dragons, not by slaying them, much to the chagrin of his father. A brilliant little film with good humour, excellent animation and a surprising emotional core throughout, that’s normally not dealt with in animated films. 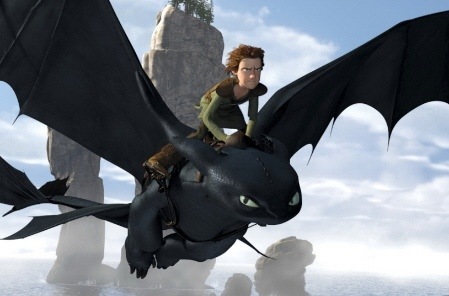 The relationship between Hiccup and his father is delicate and the bonding between Hiccup and “Toothless” the dragon is very well structured and engaging which adds to the exciting, edge of your seat adventure they take you on. This entry was posted on January 24, 2012 at 4:34 pm and is filed under Action, Adventure, Animation, Family, Fantasy with tags 2010. You can follow any responses to this entry through the RSS 2.0 feed. You can leave a response, or trackback from your own site.